You reluctantly closed the back cover on the book. A sense of loss and longing washes over you. You don’t want to be finished. How can you walk away from the storyline or the characters who you think you’ve seen downtown, they’re so real? But wait. Maybe the author has more books. Maybe this is a series. You jump online and GoodSearch her name. You find her website and see that she doesn’t. WHY?????? Well, probably because her writing hasn’t taken off yet and she has to earn a living with a day job. How can you help change that? How can you help your author toward financial freedom so that she can be writing all the time? Word of mouth is HUGE! Tell all of your friends about the book. If you can part with it, loan your copy to a trusted friend or family member. Donate a copy to a library. SPEAK out loud frequently using the book’s title, the author’s name. You hold the power! Make it social. There are many, many ways through social media to help your author attain a fulltime writing career. Facebook the book’s link from Amazon and or Barnes & Noble. It posts the book’s cover art, which people will recognize and associate with ‘recommended’ even if they don’t read the blurb. Write a recommendation about the book and post it to Amazon, B & N, and/or Goodreads. You don’t have to be a professional book reviewer as I proved in this review of Caves, Cannons and Crinolines by Beverly Stowe McClure. Sometimes an avid reader’s enthusiasm is far more persuasive than a professional reviewer. “Like” the book on Amazon and Barnes & Noble. The Weaver received more than 25 likes on B & N in a weekend and suddenly had a sales ranking for the first time on that site. That ROCKED my world. Tag the books on Amazon. Near the bottom of the book’s page is a list of words that will help readers find the book when they are searching. 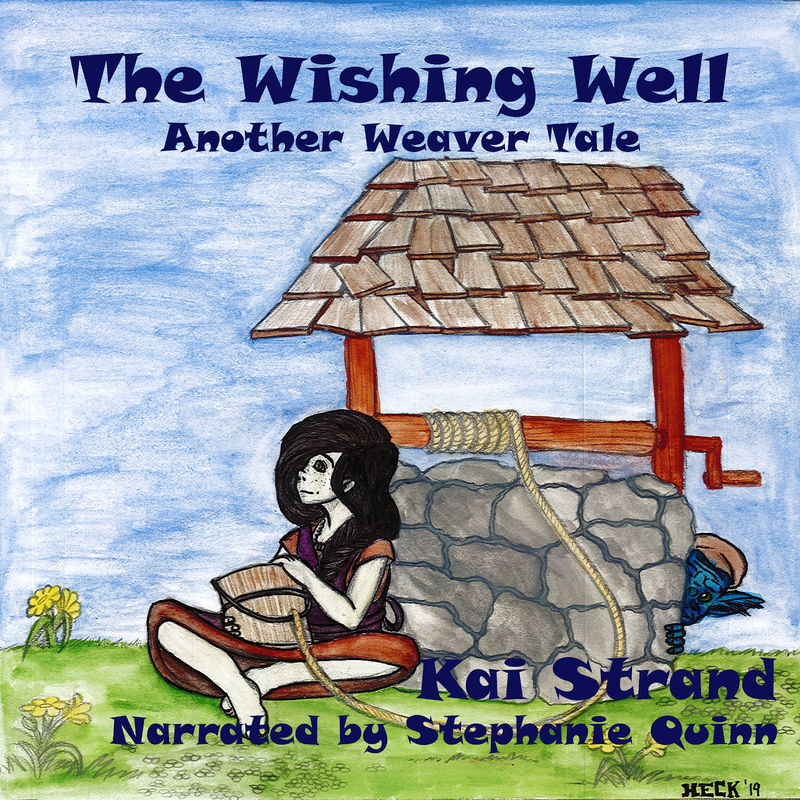 Example: The Weaver has tags like, story telling, gnome, fantasy, kai strand. Help your favorite author or book by clicking on each one of the tags there and add more you think might help it come up in a search such as, 9 – 12 years old, knitting. The more popular the book is and the more it is recommended by readers, the more cents are deposited into the author’s bank account. Not only that, but if a publisher is considering purchasing a manuscript from your favorite author and they see that her current title is well liked and highly recommended, they are more likely to take the chance on partnering with her on her next book. Last, but certainly not least, your public support of an author and her work goes a long, long way in encouraging your author to write more. Writing is very subjective and often an author only hears when someone doesn’t like her work. Pat her on the virtual back and buoy her very real spirits by “liking,” “tagging,” “facebooking,” and reviewing her work. You’re more likely to see more from her then. Your opinion really does matter! Now, let’s play tag! great post. Support is EVERYTHING! or close to it. . . .
Great article. Support from others means so much! Thanks ladies! And I'm sure many readers simply don't know how valuable their support can be.